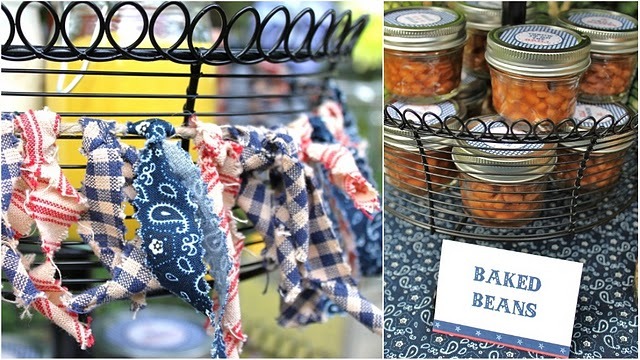 Has anyone noticed mason jars all over the blog world lately? They are useful little pieces to have around, what with being reusable, multi-purpose-able (I’m making up words today!) and just dang cute. I’ve purchased the ones I have from the grocery store, but you could easily find them at antique stores (especially if you’re looking for the blue ones! ), thrift stores, yard sales, ebay, Craigslist, or maybe your mom or grandmother’s cupboards. 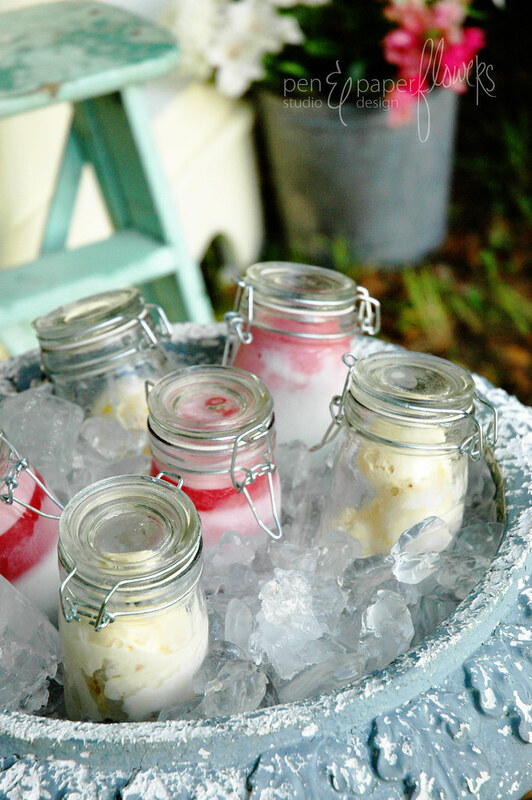 Of course, mason jars could be used for canning, but that would relegate them to the back of the cupboard where no one would see their beauty! I say take them out and show them to the world. At a party, of course! Okay, I do make one exception to my no-canning statement…you can use them for canning if you intend to use said canned goods as a party favor. 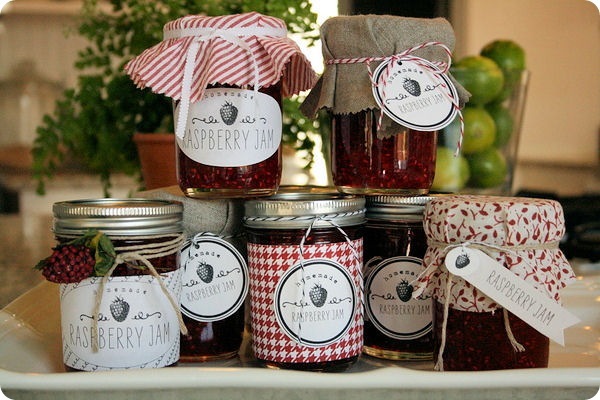 Jones Design Company even designed free downloadable labels for raspberry or strawberry jam! She includes instructions on making freezer jam, which is one of my favorite things to do each summer. Fresh strawberry jam in January is pretty priceless! They make lovely (and re-usable) cups, as Ms. Awesome did for her wedding (image from Etsy). They added chalkboard name tags so guests would have an easy time keeping track of their glass. Be still my heart! 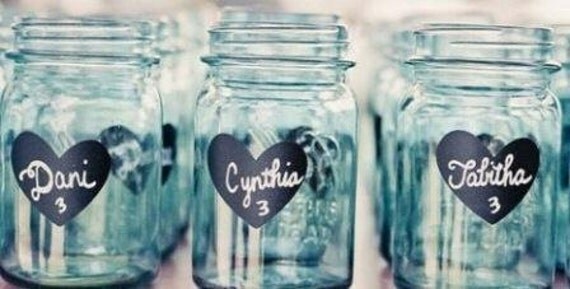 I think I need to go hunting for more mason jars to grow my collection! This entry was posted in Crushworthy. Bookmark the permalink. Thanks for including me Rebecca. I love all these ideas! Thanks Jessica! I will be on the lookout for them!